An infestation of ticks on cattle ears can lead to bleeding, loss of hearing and curling of the ear. Mild winters combined with increased deer populations over the past three years have led to increasing tick populations and concern for livestock health. Livestock are at-risk for both tick-borne disease as well as the simple effects from a heavy tick infestation. 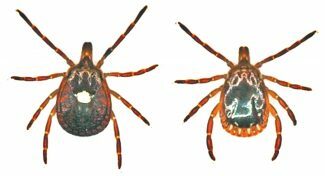 The environment and availability of a host can help or the hurt a tick population of any kind. Hosts are generally deer but can be any animal, including migrating water fowl, small rodents and all domestic animals. "The other factor is when we have good forage availability and some timely rain, this helps cattle operations but is also good for wildlife," said Justin Talley, entomology and plant pathology associate professor at Oklahoma State University. "When we have an increased tick population, we will see an impact on livestock systems, especially cattle." Extended time below zero with snow is not a problem for many states but has been in short supply lately. That is what is needed to prevent ticks from surviving through the winter, Talley said. 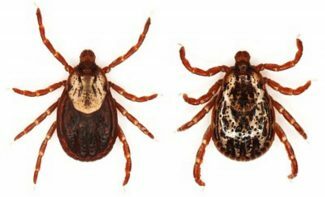 "Ticks became active much earlier this year than usual," said Kelly Loftin, veterinary entomologist at the University of Arkansas. "We were seeing adult lone start ticks as early as February." Survivability of livestock is an indication of how a tick population will survive through the winter season. Some ticks need a host to survive while others do not. It depends on where you are what types of ticks you will see but there is some seasonality to it," Talley said. "Starting back in the spring through now there was a very significant gulf coast tick population, which gets in the ears of cattle and horses." Gulf coast ticks are generally found in the southern states but go as far north as Kansas, and are continuing to migrate north. Common ticks found in north and northwestern states include the brown dog tick and the American dog tick, but this is evidently changing. 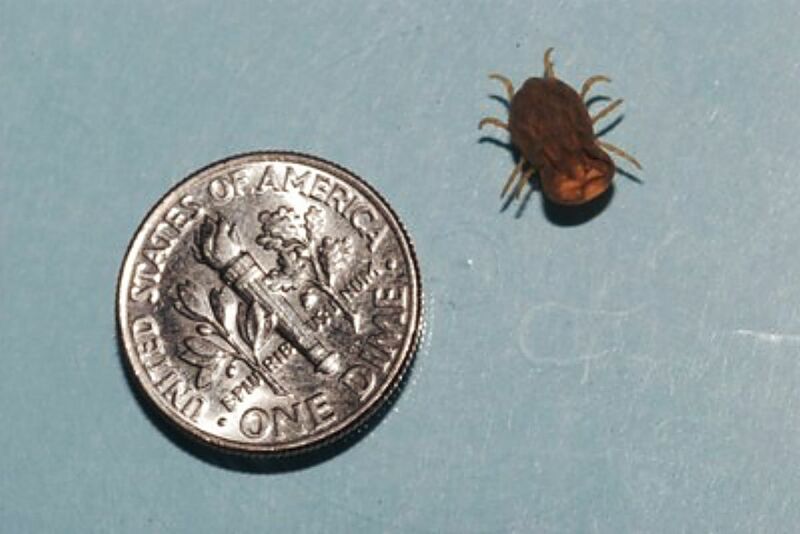 "Probably our most commonly encountered is the lone star tick, it has increased in both range and abundance over the last several years," Loftin said. "Some of that is related to the increase in the deer herd, lone star ticks will readily feed on white tail deer in all stages. That is part of the reason we are seeing the increase. They are all across the southeast and inching north." 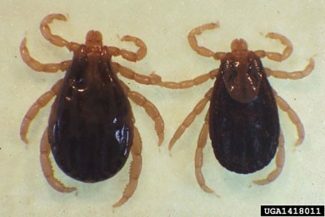 Tick-borne diseases and "gotch ear" are the main concerns for these increased tick populations. Not only do ticks in the ear cause permanent damage to the hearing mechanisms, but will cause the ear to become scabbed and curled over, leading to immense pain when livestock move their head. 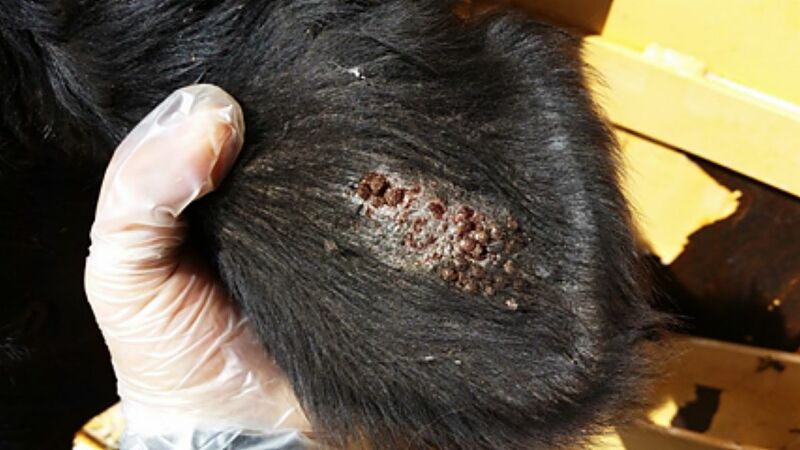 "There are two dermacentor ticks that can get into cattle: the American dog tick and the winter tick," Tilley said. "Both of those can transmit anaplasmosis into cattle herds." 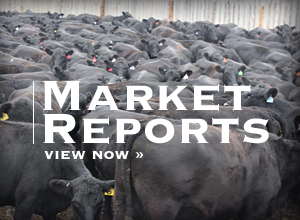 According to Merck Animal Health, anaplasmosis is a pathogen that causes aggressive destruction of red blood cells, leading to anemia and can be fatal in older cattle. "It is kind of a unique pathogen because when it causes disease in animals, essentially what you see is it effecting your older animals," Tilley said. "Where as most of our pathogens that are introduced can effect our young animals." Treatment within a timely manner can save the animal's life. Clinical signs to look for, according to Merck, include rapid loss of condition, reduced milk production, loss of appetite and coordination, and an increased pulse rate. "Once it gets introduced and the animal recovers they are pretty much protected for the rest of their life against that particular strain," Tilley said. "You may have animals that have had anaplasmosis but are still doing well." 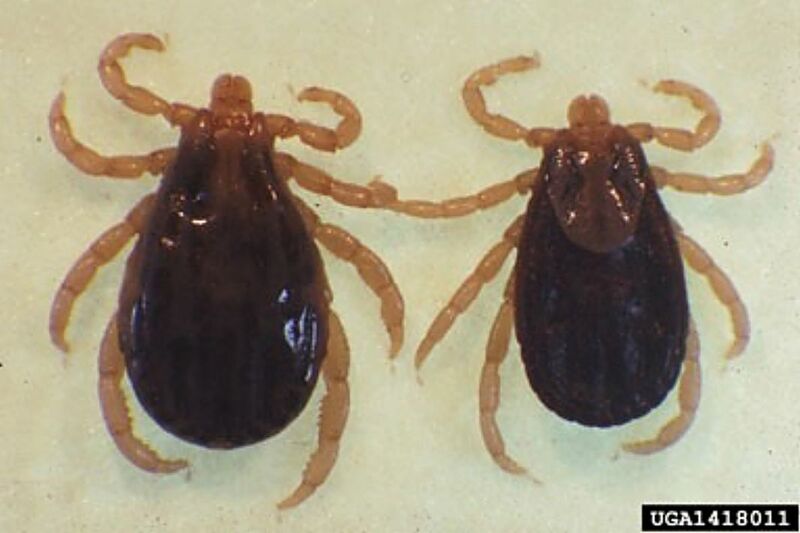 Ticks are a biological vector, which means bacteria can survive and multiply in the tick. "Ticks are more evolved than a mechanical vector in that they can maintain a pathogen for a certain period of time," Tilley said. 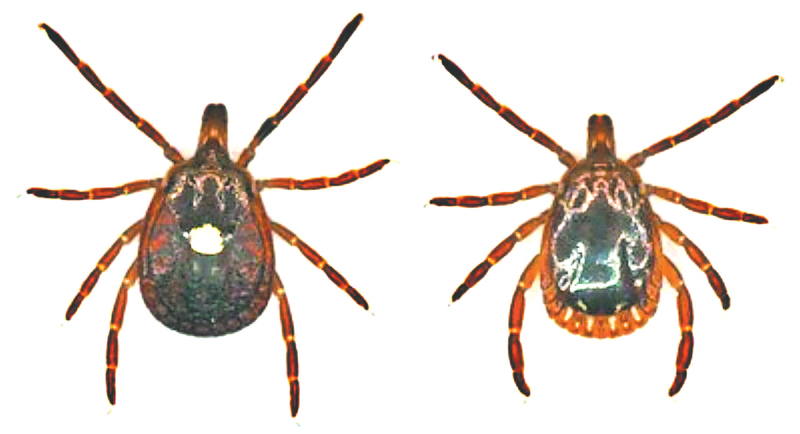 Multiple ticks have been shown to be vectors of anaplasmosis. 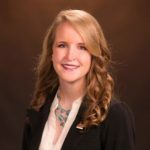 "Some of our work here in Arkansas on human pathogens, shows that there are more potential pathogens out there than we thought," Loftin said. "There are some ticks that you will actually see infected with more than one pathogen." The Veterinary Feed Directive could have an impact on a potential increase in anaplasmosis occurrence in the future. 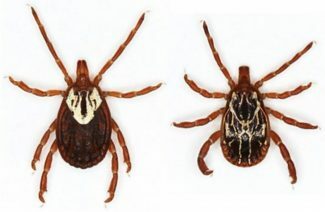 The low levels of antibiotics allowed producers to not put much thought into their tick-management programs in relation to tick-born diseases. "It was essentially designed to prevent anaplasmosis from effecting the herd," Tilley said. Identification of what types of ticks will thrive where livestock are living will help with developing management programs. 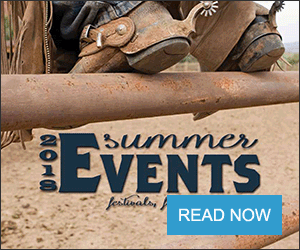 "Tick problems are usually actually a pasture problem," Tilley said. 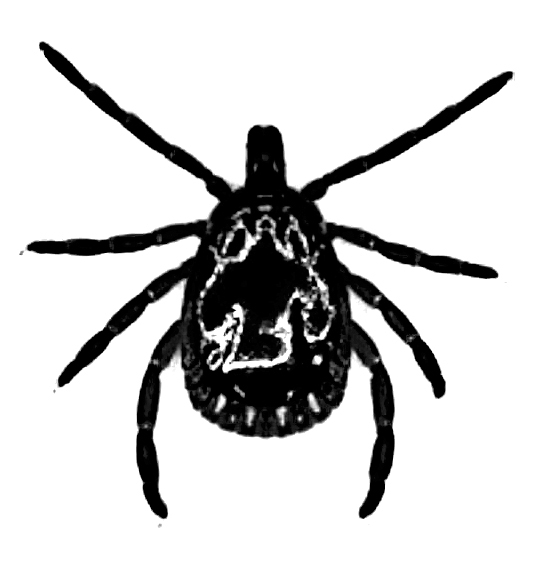 "Ticks can come in with new animals but that is not usually how they are introduced. Most tick populations are introduced by wildlife. What research shows is that if you can burn pastures, that is highly effective in reducing tick populations." An integrated program including the pasture burn are the most effective. Mid-summer is when producers need to be monitoring cattle for signs of a tick problem, Tilley said. "Timely insecticide sprays for the whole body tend to work the best," Tilley said. "More so for all ticks. If you were just concerned with ear ticks, insecticide ear tags are highly effective. A lot of producers will put ear tags in to control ear ticks but then they expect the same ear tag to provide really high levels of fly control late in the summer." 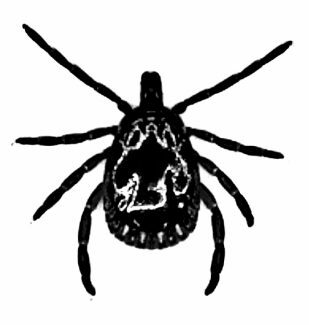 Essentially Tilley recommends a pyrethroid spray in the spring for initial protection and then going through the herd and putting in ear tags and possibly using a pour-on to control all types of ticks and other pests.